Choice is one of the leading indicators that leads to success in reluctant learners. Therefore, choice needs to be an essential component of our everyday instruction. 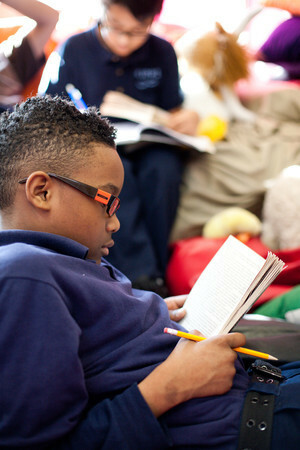 Incorporating choice reading is one way you can integrate more choice in your instruction. However, as I mention in Reading Without Limits, choice can also be debilitating. “But don’t overwhelm students with choice. Barry Schwartz, author of The Paradox of Choice, says, “We become overloaded. Choice no longer liberates, it debilitates. It might even be said to tyrannize” (Schwartz, p.2). Less is more in choice, as a study on taste tests shows. Columbia professor Sheena Iyengar, in When Choice is Demotivating, ran a test in a grocery store. She set up a table with 24 jams. Though 60% of the customers stopped to taste, only 3% actually bought a jam. Then she set up a table with six jams: 40% of customers stopped to taste and 30% purchased a jam. This study shows that while choice is important, narrowing a field of choice increased purchase power. Include choice, but narrow the field. Instead of putting every young adult book in your library, cultivate it by choosing high-leverage books (high interest, readability, excellent writing), order lots of copies of those books, and allow students to choose within your edited library. Every term, rotate in new books. A new term starts in a couple weeks. Here are the titles I recently recommended to a colleague in Georgia who teaches middle school. What titles would you add to the list below? I love that you bring in the Iyengar and Lepper (2000a) study. I certainly believe this literature on choice could be so useful in classrooms. Another paper from Iyengar and Lepper (2000b) indicates that students are more likely to complete assignments AND receive higher grades when they are given only 6 options for an extra credit assignment than when they are given 30 options. What are the implications here for the ways in which we encourage students to take on books? To take on writing assignments? I think the implication is that we need to be pretty mindful that choice can be overwhelming. I recommend for students who take too long in the library (or choosing a writing assignment) to offer 2-3 choices as a scaffold. 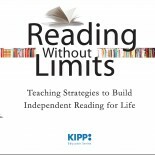 This entry was posted on March 27, 2013 by Maddie in Choice Reading, Engagement, Nonfiction, Reluctant Readers and tagged choice, language arts, motivating middle school students, reading without limits, struggling readers.